If you are new to WCF services then please read my earlier blogs. Go through with this link - WCF Tutorial step by step. WCF supports a various way to host a service. In this blog, I will explain about Hosting a WCF Service in IIS. How to host WCF service in IIS? 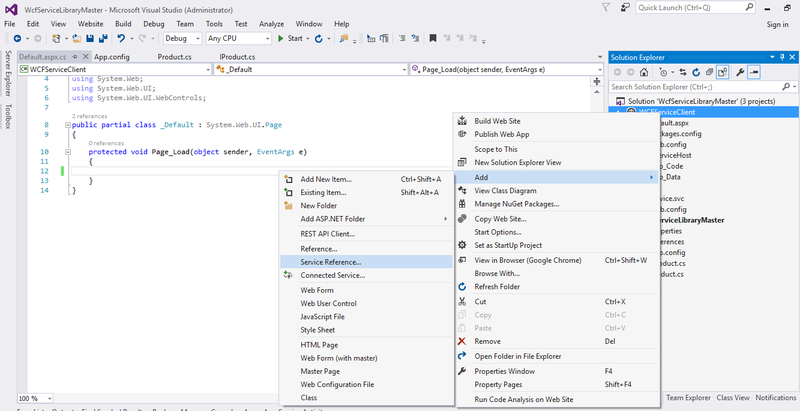 Step 1: Create a WCF Library project in Visual Studio. Step 2: Delete Class and Interface which is created by default. Step 3: Create an interface IProduct. Add one operation contract in this. Step 4: Add a class Product.cs to implement this interface. 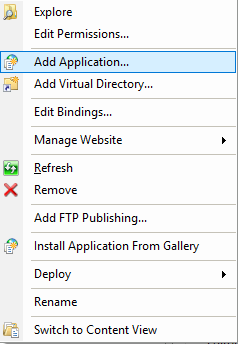 Step 5: Right click on Solution in Visual Studio. Add a new website in the same solution. Select WCF Service. Step 6: Delete files from App_Code. Add the reference of the WCF service project. Step 7: Open .SVC file and remove code behind. .SVC file should look like this. 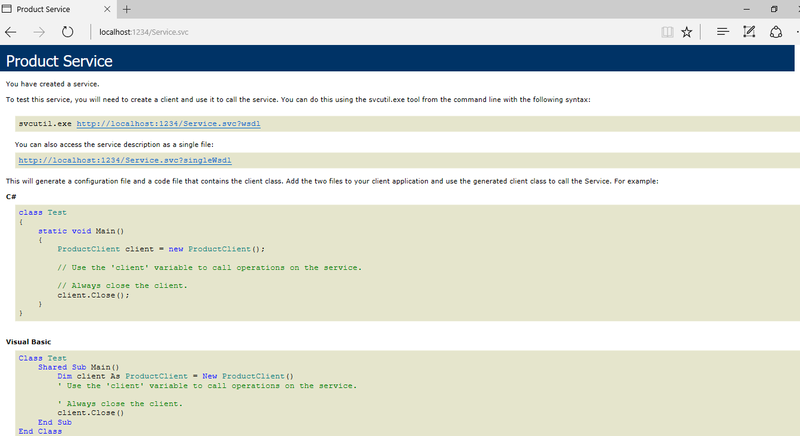 Step 8: Now host your WCF service in IIS. Open IIS. Right click on Default web site and add an application. 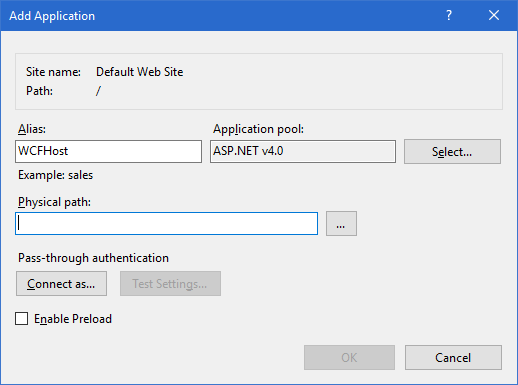 You may also create an independent site in IIS. Step 9: Fill all the details. Step 10: Once done. Right click on newly added Application or Website and select Switch to content view. You can see your service file there. Step 11: Browse your file and you will see an output like this. Step 12: Now it's time to consume the WCF service. Step 13: Add a new Website in the same solution. Create ASP.Net website. Step 15: Once Service Reference added. You write code to consume WCF service that you created. WCFServiceReference is the name which I gave while adding WCF service reference. Step 16: Your output will. 1001 is the Product Id which was passed from the client. How to host a WCF service in IIS? How to create WCF RESTful Service. In this blog, we will perform Web API CRUD operations using Entity Framework and ASP.Net MVC.